As we drove past the mountainous reigons of Himachal Pradesh, while most of the mountains, look dry and surrounded by a cold yearning in the beginning of summer, elsewhere in India, it was a pleasant 1-5 degrees centigrades in this quaint little village of Kullu. About 20 odd kms from Manali and the same from Kullu, Naggar, Himachal Pradesh is the quiet little place you would want to visit and if your intention is to just sway away from the crowded places, especially if it’s a long weekend, this is quite the place to be at. It was the capital of Kullu Rajas in 1460! Hence the old kingdom of Kullu, as pointed out by one of my commenters on my previous blog as well. Amidst breathtaking forested hills, the Naggar Castle is a magnificent historical edifice. Made of stone and wood, this palace served as the residence of Raja Sidh Singh of Kullu. It was built in AD 1460 in an impressive amalgamation of European and Himalayan architecture. Fireplaces, fitting staircases, and magnificent stone and wood works grace the castle’s interiors. Here’s some breathtaking pictures from this beautiful place which you can call home, especially if you are in love with the mountains! 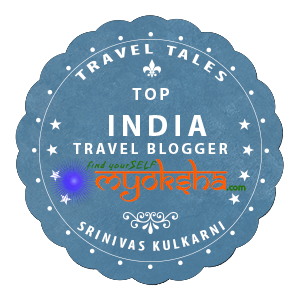 This entry was posted in North, Tales from Himalaya and tagged Himaalaya, HImachal Pradesh, Himalayas, India, Mountains, Travel, Travel Blogger, Travel Blogger India, Trekking on April 9, 2016 by srinistuff.